Well, what a fitting end to a great event. 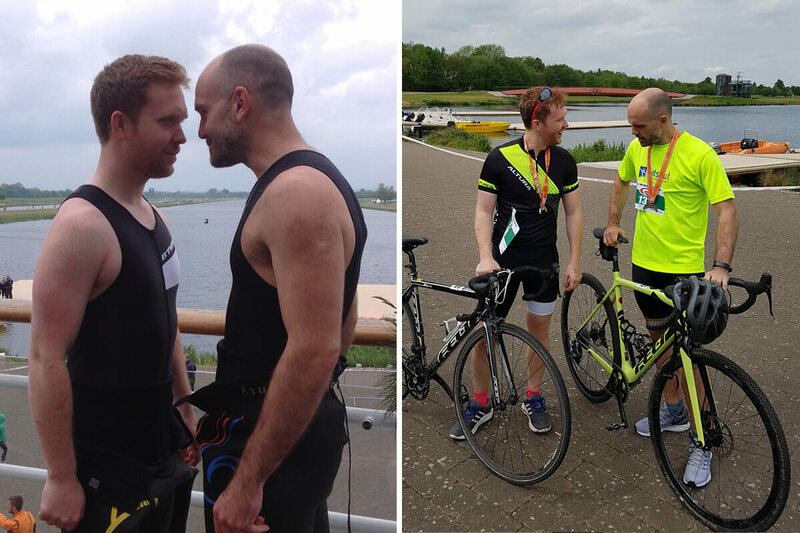 D-day for Dave and Donal was on Saturday and it did not disappoint; both competitors pushed themselves to the absolute limit and smashed all their own expectations, finishing the event in under an hour and a half! After the initial shock to the system, getting into the cold water on what was not a particularly warm day, both men pushed themselves faster and faster as each part of the event went by. By the time they were out of the water and heading towards their bikes they were neck and neck, adding to the tension even more. As they finished the 20k bike ride, Donal had pushed into a 2 minute lead over Dave and seemed as if he was too far ahead for Dave to catch up. The final part of the race however, the 5k run, was a different story. With about 100 metres to go we suddenly saw the bright yellow of Dave’s top sneaking up on Donal, leading to a thrilling sprint finish where Dave just managed to pip him to the post! 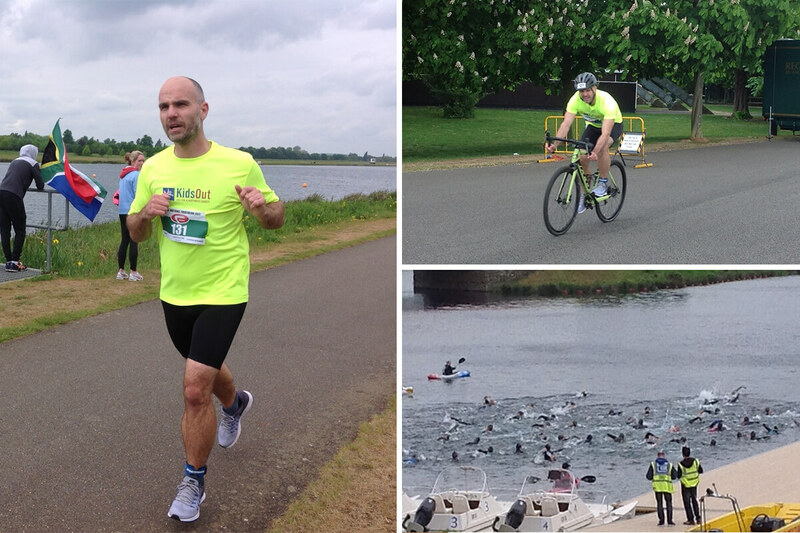 7 seconds was all that stood between the triathletes! Although they were both absolutely exhausted they were so pleased with all the support they received leading up to the event and also on the day, and I know it helped spur them on during the tough physical battle. It’s not too late to donate and add to the fantastic amounts they’ve raised for KidsOut and Children in Need – check out their donation pages.